Garages are a great way to add value to your home and protect your car or other vehicles. There are some other benefits of garages as well. Leaving your car outside will mean that you are exposing it to the elements. Strong sunlight, hail and snow can all do damage to your vehicle. There is also a greater risk of car theft. A garage can provide you with that much needed additional storage space. You can also have additional room for your favorite hobbies and pastimes such as DIY and crafts. If you work from home then your garage can even be your home office. Additional living space is possible with a garage as well. People in the USA have had garages built before and then have had to tear them down because they infringed some local laws. You do not want to be in this position. You need to research your local zoning laws, and look into things such as the homeowner’s association stipulations and setback rules. You need to be sure that local laws will permit the construction of your garage. You need to give special consideration to the finances for your garage construction. It is not cheap to build a garage, and you need to estimate around $30 per square feet if you are after a basic attached garage. Detached garages will be more expensive. Where will you get the money to pay for this? Maybe you have savings and are prepared to pay for this construction work in cash? If not then you need to organize your financing before you speak with a contractor. You can ask your bank for a loan or talk to your mortgage company about an extension to your mortgage. 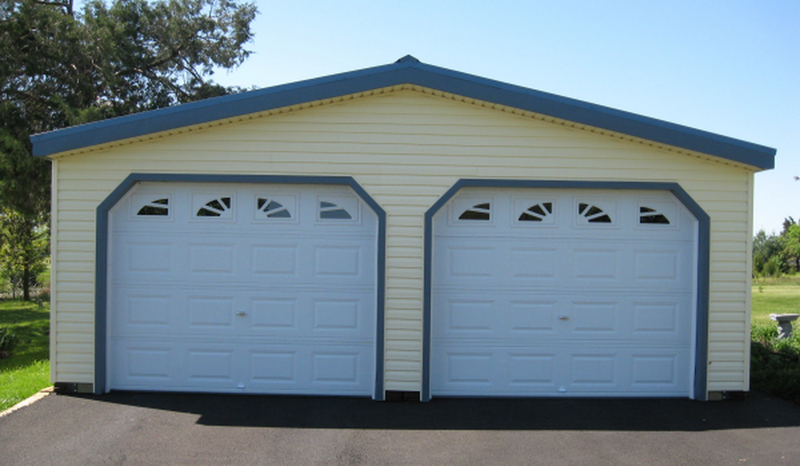 Do you want a Detached or Attached Garage? You will need to decide whether you want an attached or detached garage. There are advantages and disadvantages to both of these options. An attached garage is not as expensive as it will connect with your house, and can easily use the electricity system that you have in place (you may require an upgrade to your electrical system). It will be easy to access your new garage using a side door from inside your home. With a detached garage you will pay more but there are some major benefits. Usually it is easier to have a permit granted for the construction of a detached garage. As there is no direct access to your home, security and privacy are greatly improved. Finally there is no chance of gas fumes entering your home which is a risk with attached garages. You need to be thinking about the future here. You may be a young couple at the moment without any children and only one car. But in the future if you have a family you may need a larger car and even two cars. If space in your yard permits, consider the building of a 2 or 3 bay garage. You will have more room for larger cars and also storage and a work area. The minimum size for a 2 car garage would be 20 square feet, but try and go for 24 square feet. What will you use the Garage for? This may seem a crazy question but a lot of people use their garages for a lot more than storing vehicles. You may want to put your washing machine in the garage and if so you will need water plumbed in. You will need to provide some form of heating and cooling if you intend to work in the garage, and insulation is important too. Will your Garage add Value to your Home? It certainly should do. If your garage is spacious and has all of the essential utilities then potential buyers will view this very favorably if you ever decide to sell your home. You may be able to make money from your garage by renting it out. Check with your local authorities about this. An experienced contractor will not only build you a garage of the highest quality but they may also be able to help with the granting of permits. Don’t just look for the cheapest estimates here. Go for a licensed and insured contractor that will provide a quality job. Ask them how many garages they have built in the past.